Juan Santamaria International Airport as #2 after Tocumen Airport. SAN JOSE, Costa Rica–During the past 26 years, hundreds of airlines and airports across every continent have benefited from Skytrax Audit and Quality advisory services, as the British audit company has also helped them to improve and develop the customer experience. Recently Skytrax chose the best airports in Latin America (Central America, South America and Caribbean). For the region of Central America and Caribbean the Juan Santamaria International Airport of Alajuela/San Jose is the second best, just after Panama City’s Tocumen. The Panamanian terminal got the awards as the “Best Airport” and the “Best Airport Staff” at the World Airport Awards 2015 ceremony. In the list of the 10 best several Central American airports are also mentioned as Oscar Arnulfo Romero International Airport of El Salvador and La Aurora International Airport of Guatemala City. None of the airports of Honduras or Belize made the list. The ranking is made up by interviews made to more than 13 million passengers in 550 airports and 112 countries. The interviews evaluate the total experience of the passenger with 39 products and airport service areas like easy access, public transportation, comfort, cleanliness and the personal service offered by the airport employees. (The number in parenthesis indicates the position of the airport). Until last September 2014 the Panamanian terminal reported passenger traffic of over six million, an increase of 10% compared to 2013. The airport that is serviced by 19 passenger airlines and 14 cargo airlines is going through an expansion with the construction of the South Concourse that should be finished by 2017 putting Tocumen as the most modern airport in the region. The Panamanian terminal has been able to attract several European carriers like Air France, KLM, TAP Portugal and the German carrier Lufthansa which will start flights in November 2015. For mid 2015 the airport that services the Costa Rican capital should have a new commercial area and two additional boarding gates in the Eastern area of the terminal. AERIS, the private company that manages the terminal announced it will build a terminal for domestic flights (SANSA and Nature Air) with full comfort and will be ready by the end of 2016. Still the new construction of the Western area (where the maintenance hangars of COOPESA are located) has not started. The Juan Santamaria International Airport hopes to attract more airlines from Europe and South America in order to compete with the Panamanian airport that is known as the best in the region. 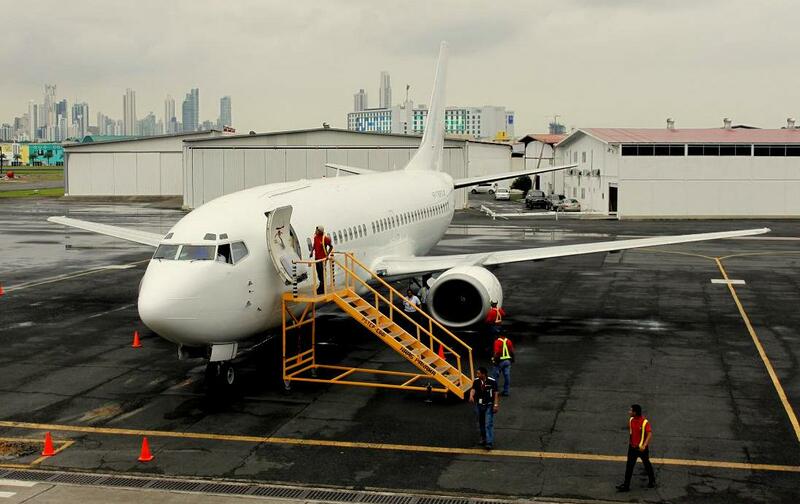 It is expected the new start-up Air Costa Rica will use this airport as its main hub. 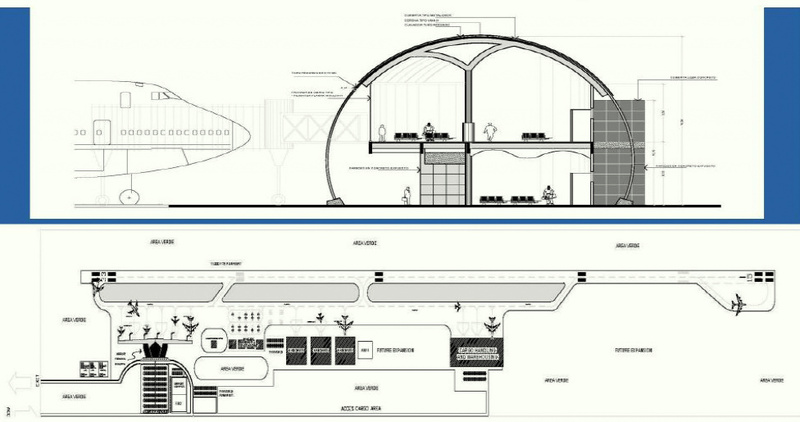 The big problem that CEPA (the Salvadorian government company that manages the airport) has are funds in order to develop the expansion Master Plan of the airport. The project has been paralyzed for the past two years. The terminal has only a capacity of 1,6 million passengers and its hoped once the expansion is done, the amount of passengers handled can double. At the moment just some small remodeling has been done and airlines like Colombian Avianca that uses the airport as its main Central American hub suffers with almost an operationally collapsed terminal. The airport does not receives a “face lift” since the late 80s. Low cost carrier VECA Airlines uses the airport as its hub. This is the main international airport in Nicaragua and offers non-stop flights to 12 destinations. Panamanian COPA Airlines moves up to 30% of all the air traffic at this terminal. Since 2011 the passenger traffic has been increasing annually at 4,1%. In three years the country will have a new international airport in Rivas that is expected to offer flights to Asia. There is no more Nicaraguan flag carrier, reason why the Augusto Cesar Sandino International Airport is not a hub. Located in Guatemala City’s Zone 13, this airport, once Pan American’s Central American hub has a runway of almost 3000 meters and it was fixed in 2010. Recently a new advanced system of baggage transport and security protection was introduced. The investment was of up to 1,43 million dollars. TAG is the only Guatemalan carrier (as Aviateca was totally absorbed by Avianca) and operates small prop planes from their private hangars, not using the main international terminal. This entry was posted in Skytrax Airport Awards 2015 and tagged Air Costa Rica, Augusto Cesar Sandino International Airport, Costa Rica, Juan Santamaria International Airport, La Aurora International Airport, Nature Air, Oscar Arnulfo Romero International Airport, Pan American, Panama, SANSA, TAG, Tocumen International Airport, VECA Airlines. 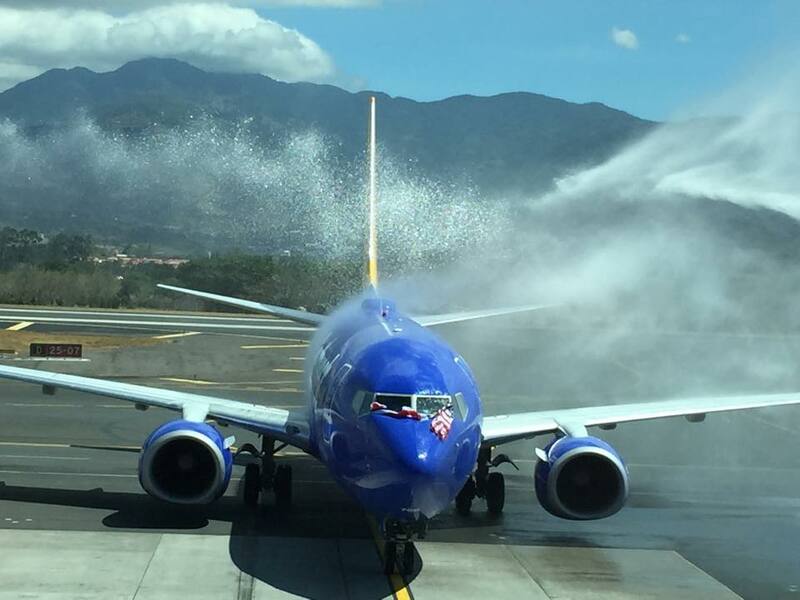 Southwest Airlines inaugural flight arrives in San Jose, Costa Rica, welcomed with the traditional water cannons. SAN JOSE, Costa Rica–March 7th marks the arrival of Southwest Airlines first flight into Central America. WN-602 from Baltimore/Washington Thurgood Marshall International Airport arrived ontime to Alajuela’s Juan Santamaria International Airport full of American tourists hoping to enjoy the balmy weather of the hottest destination in Central America. Effective today, Southwest Airlines will operate daily flights from the BWI airport into Costa Rica. By November Southwest Airlines will also operate flights from Houston-Hobby International Airport to Costa Rica and also Belize, the second destination in Central America. Southwest is the latest LCC to open operations to Costa Rica (Interjet, Spirit Airlines, Frontier, jetBlue, Sun Country, Westjet, Rouge, Airtransat, and Sunjet already operate to San Jose or Liberia). It is expected that other LCC like Volaris of Mexico, Viva Colombia and GOL and Azul from Brazil could start flights into Costa Rica in the near future. This entry was posted in New LCC arrives in Costa Rica and tagged Baltimore, Baltimore/Washington International Airport, Belize, Belize City, Central America, Costa Rica, Houston-Hobby International Airport, LCC, Low Cost Carriers, Southwest Airlines. SAN JOSE, Costa Rica–The Lake Hille/ASA Company presented the study of the mega million resort project to be constructed in Tarcoles Beach in the pacific province of Puntarenas. The project that will be called “Punta Loros” would include 34 apartment buildings, three hotels, and 18-hole golf course and common areas of leisure. The investment would be of $400 million. Next to Punta Loros another resort called Nativa would share the Tarcoles Beach. Just 45 minutes away from San Jose, the area of Tarcoles Beach in Garabito will become another part of the Costa Rican Riviera, this area in the Central Pacific of the country. If the new International Airport is constructed in Orotina (should be ready by 2025), Punta Loros would be just 15 minutes away from the new mega airport. 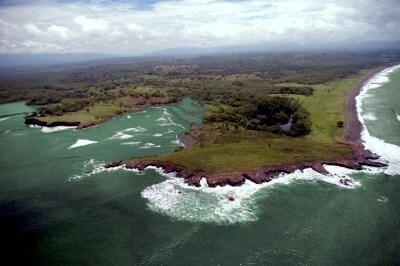 Punta Loros would be the name of the new mega resort in the Central Pacific of Costa Rica. This entry was posted in Costa Rica and tagged Central Pacific, Costa Rica, Nativa Resort, Orotina International Airport, Punta Loros, Punta Loros Resort, Puntarenas, Tarcoles Beach. SAN JOSE, Costa Rica–By the end of 2014 and beginning of 2015 new airlines will start services to Costa Rica. One new airline will start flights from California informed Marc Bourreau, a consultant of the Costa Rican Tourism Board. The airline was not mentioned but analysts believe could be Alaska Airlines or Virgin America. The other flight will connect Paris with San Jose via the Dominican Republic, most likely XL Airways that already operates from Charles de Gaulle to Punta Cana. The Costa Rican Tourism Board presented May 7th a detailed document with all the accomplishements of the past four years in regards to connectivity of Costa Rica with the world. At the moment San Jose’s Juan Santamaria International Airport is serviced by 16 airlines and Liberia’s Daniel Oduber International Airport is serviced by 11 carriers. The Costa Rican government through the ICT (Costa Rican Tourist Board) with the support of AERIS and Coriport have been making initial contacts with airlines such as Alaska Airlines, Southwest, Allegiant, Eastern Airlines, XL Airways, GOL, TAME, Transaero Airlines and Aeroflot in the last months pursuing future services to both international airports. Effective May 8th a new president takes over and the new Minister of Tourism, Wilhem von Breymann will be in charge of luring more airlines to Costa Rica, still the powerhouse of tourism in Central America. 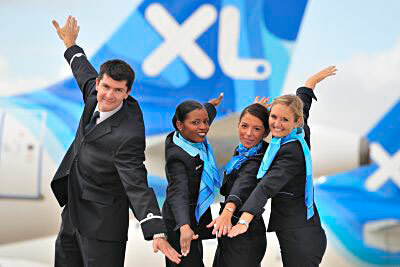 Most likely French carrier XL Airways will start flights between Paris and San Jose via Punta Cana. This entry was posted in Airlines, Central American Airports, Costa Rica, Costa Rican Riviera, Juan Santamaria International Airport, Liberia International Airport and tagged Air Connectivity, Alaska Airlines, Costa Rica, Costa Rican Tourism Board, Juan Santamaria International Airport, Liberia International Airport, Southwest Airlines, XL Airways.